It’s time to start thinking about Halloween costumes! Have your kids decided what they want to be, or will they still change their minds five or ten times before Halloween? 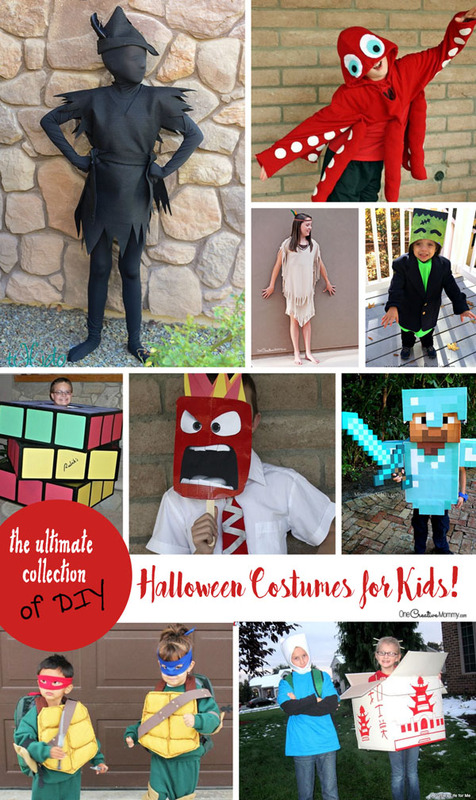 If you like to DIY, and you want to get a head start on creating, check out my ultimate collection of DIY Halloween costumes for kids. Let your kids choose their favorites, and then get to work. Let’s start with the classics. You know the type. Those costumes that never go out of style (and also work great as dress-up clothes!) These costumes go straight from Halloween to the dress-up box and get used all year long. You know you can’t go wrong with costumes that come from your kid’s favorite books, movies and TV shows. My kids are leaning toward Star Wars costumes this year. I may just end up with three different versions of Rey! 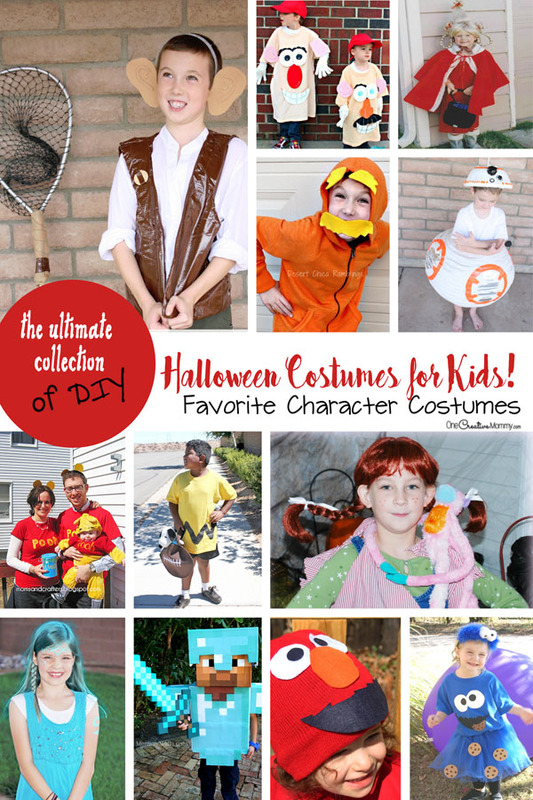 Check out these fun character costume ideas. 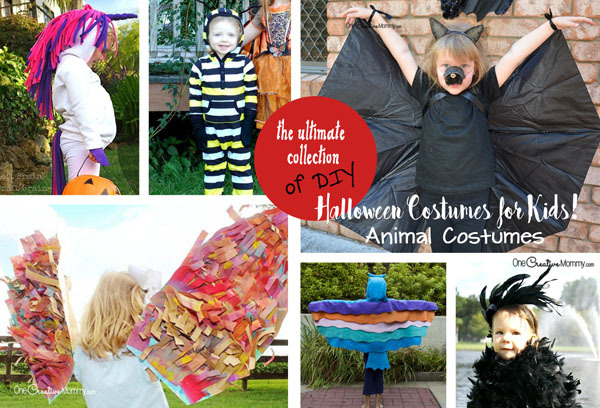 Are your kids interested in dressing as an animal (or bird, or insect)? 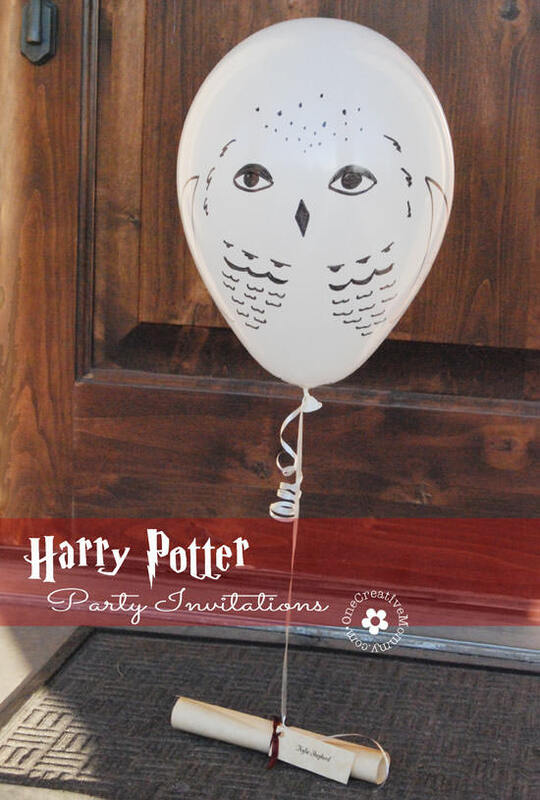 Try these fun ideas! If your child wants to stand out and have a costume that’s totally different and unique, try these cool ideas. The creators of these Halloween costumes were definitely thinking outside of the box (and sometimes they even put their kids in a box)! What do you think? Will your kids be able to come up with a favorite from those ideas? I hope so. Good luck! Just in case you need a few ready-made ideas, here are a few popular options from Amazon that you can purchase with a click and no work. Thanks for stopping by today! Have a great week. Check out more ideas by clicking on the images below. Of course, Maggy! You always have the best ideas at Red Ted Art! These are amazingly awesome! I am so not crafty like this to come up with costumes for my kids I have always bought them. I might have to try a few of these this year though. Home made costumes are so much fun. They’re even better when you can copy someone else’s idea instead of trying to invent your own! So fun! We already bought a costume from the store, but I’ll have to bookmark this for next year! 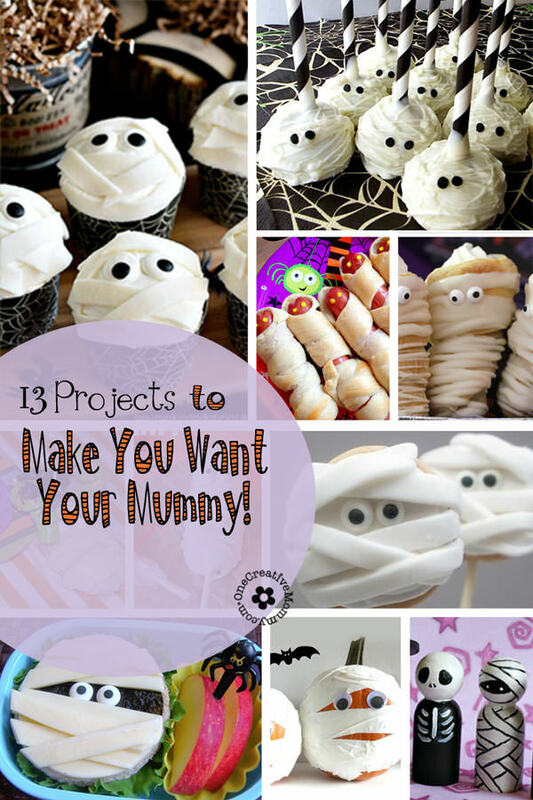 Lots of cute ideas! I need to make four this year! Not sure which ones I will do. Four? And I thought I had it hard with three costumes. Good luck! Cute ideas. I’m not much of a costume maker, more a buyer, haha. Wow so many cute ideas for Halloween. I really like the Cindy Lou one! I agree! There sure are some creative parents out there! The Cindy Lou costume is really cute. 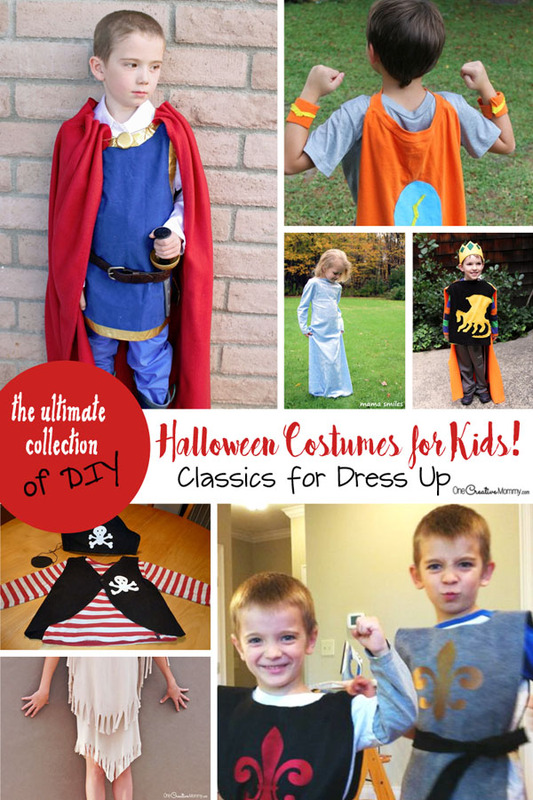 Oh man, I would have saved so much money with this amazing list of DIY costumes if it was here when my son was younger. 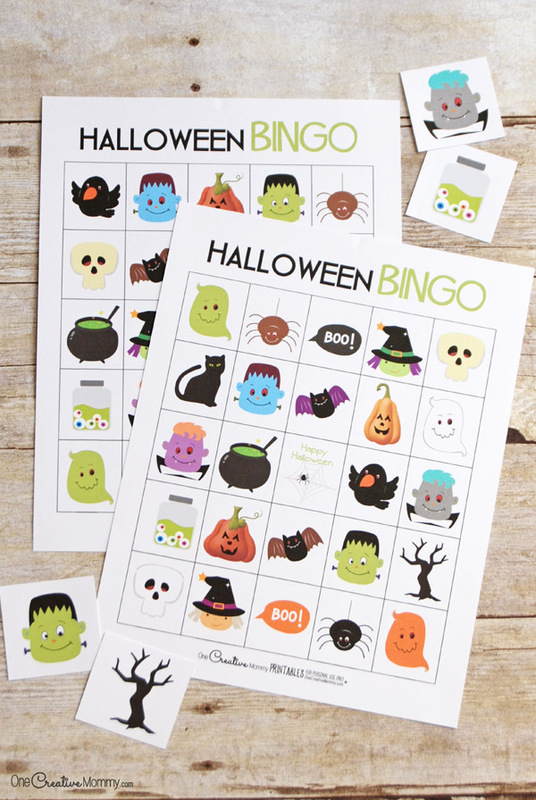 This is a great collection for all to use! Thanks for posting! Thanks, Mitch. I love to save money and make the kids’ costumes, but I do break down once and a while and buy some. It depends on how busy life is each year (and the craziness of the costume idea). Wow. What a great collection of Halloween costume ideas. I will have to share this with my cousin who has three young daughters. They all dressed up as Elsa last year. I hope they have gotten over Frozen by now! Do kids ever get over Frozen? Frozen Fever lasted forever at our house! 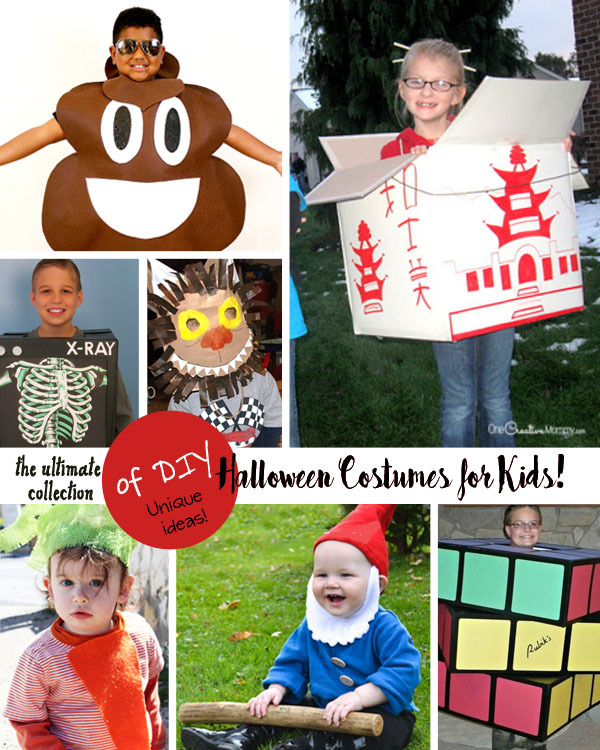 Thanks for the great list of DIY costumes! Here in Norway they don’t have many choices so I will have to look through these with the kids to see which ones they would like. Thanks, Carrie. So fun to have a visitor all the way from Norway! Do they do something similar to Halloween there? So many cute stockings, and hurrah for Pippy Longstocking. It’s been awhile since I heard of her, thats a fun costume to create. Thanks, Rosey. I used to love Pippy Longstocking when I was a little girl. Wow these costumes truly are creative! I love the bat wing costume, but like Samantha, I’m much more of a buyer. My baby has made me crazy to make a Halloween costume. But I have never tried it, following your ideas I have got an inspiration to make one. Already done one and he is so happy with it! It was a very nice idea! Just wanna say thank you for the information you have shared. Next Halloween I definitely try this for my kids. They are crazy about this costumes. Have a wonderful day. Wow…..! What a great post You are submitted. These costumes truly are creative! I love the bat wing costume, but like Samantha, I’m much more of a buyer. I am trying to follow this costumes for my sons. Hopefully, he enjoyed it.